ABOUT THE AUTHOR: The indefatigable Winnie Archer is a middle school teacher by day, and a writer by night. Born in a beach town in California, she now lives in an inspiring century old house in North Texas and loves being surrounded by real-life history. She fantasizes about spending summers writing in quaint, cozy locales, has a love/hate relationship with both yoga and chocolate, adores pumpkin spice lattes, is devoted to her five kids and husband, and can’t believe she’s lucky enough to be living the life of her dreams. 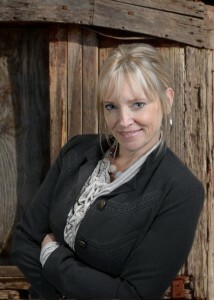 Visit Winnie online: WinnieArcher.com Winnie Archer is the pseudonym for national bestselling author Melissa Bourbon. I have to admit it. This book had me before I even read the first page. 1. Bread is one of my favorite things to eat. To me, bread is better than cake. 2. Food-related cozies are my favorite. Mystery + plus good food, what's not to love? 3. 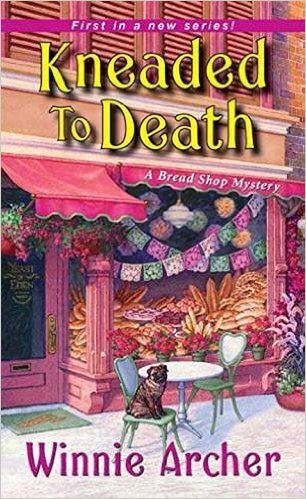 KNEADED TO DEATH by Winnie Archer is the first book in the new cozy mystery series, The Bread Shop Mysteries. I am member of the First in a Series Cozy Mystery Book Club on YouTube so I jumped at the chance to read the book. And I am so glad that I did. KNEADED TO DEATH turned out to be a hearty cozy mystery. The story begins with Ivy Culpepper trying to come to grips with recent changes in her life. She has lost her zest for life. Ivy has divorced her cheating husband and moved back to her hometown to support her father (and brother) after the death of her mother. What really stood out to me in KNEADED TO DEATH was how the author incorporated multiple snapshots of grief into the story. Grief from loss of a person (death) to grief from the loss of a relationship. It was interesting to read how the characters coped with their grief as life moved on. The book features a diverse set of characters that blend together well. They are diverse in age, occupation, and ethnicity. I imagine the author won't suffer from lack of story ideas with this motley crew. I look forward to reading lots more about Ivy and the residents of Santa Sofia in the future. Fans of baking and photography will find this cozy mystery series particularly interesting. The book contains a couple of recipes for breads mentioned in the story. I plan on trying the conchas recipe soon. I read this book towards the March Mystery Madness reading challenge. I received a complementary advance reader copy of KNEADED TO DEATH in conjunction with this book tour. All opinions are my own.